SAVE THOUSANDS!!!! THIS DISPLAY MODEL ON SALE NOW!!!! 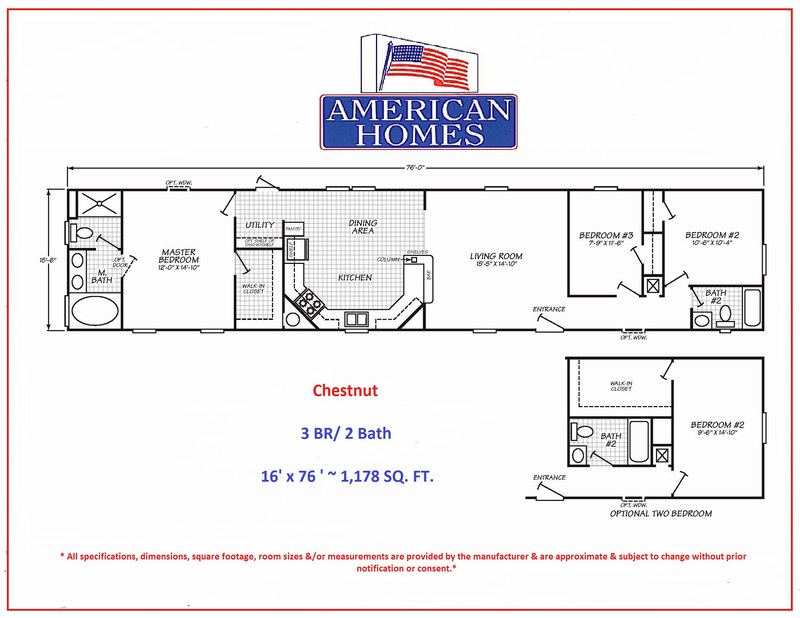 The 3 bedroom 2 bath Chestnut features amenities such an eat-in kitchen, recessed lighting, a dramatic stone covered range hood, more than ample counter space and cabinets and a large master bath with soaker tub and shower with built in seats. This 1178 sq. ft. Chestnut offers you exceptional value.